Back in 2009, after deeply rooting myself into the sustainable living lifestyle, I was curious about how much I actually produced from my chickens and garden—and how much I saved over the year. It sure would be nice to put a value on the time I spent working out in the yard. Curious about how much I saved versus how much I spent, I decided to keep track and find out. 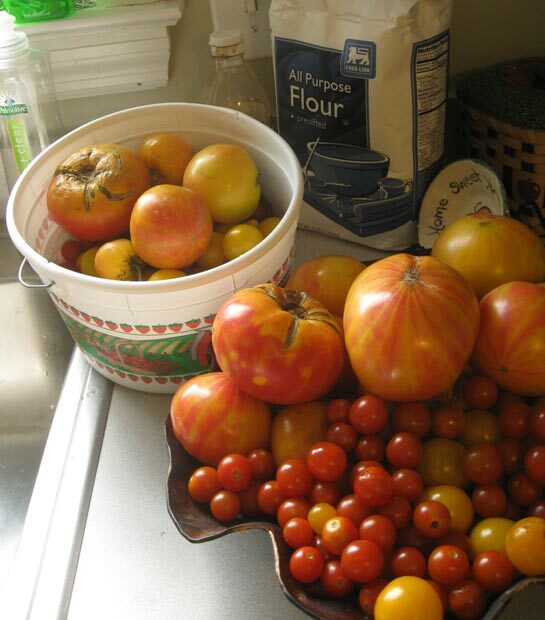 I wondered how much I saved when this was only one week’s worth of heirloom tomatoes! Even though I wasn’t really keeping birds for egg production ( I had only six bantam hens and one female duck), and even though my garden space was only around 600 square feet (with flowers as well as produce, herbs and nine second year fruit trees), I still wanted to come out ahead! It was a productive year; I eventually lost track of my findings and called it done when the summer garden fizzled out. However, what I did record was encouraging, to say the least. We started a handful of must-have plants in the house, but it was difficult to figure how much I saved. Our calculations were based on weight of the produce, and the count of our eggs. We based prices of what we collected on the going rate at the grocery store and local farmer’s market for organic produce prices and free range egg costs. There were also items that we canned (relishes, pickles, beans, jams and syrups), but I forgot to weigh or set value to them! I also didn’t know how to figure out my savings on fresh herbs, so a lot was left off of the list below. Plus, things got complicated when I had to start off balancing the cost of building some new raised beds and bringing in compost to fill them. It was all still new, so there were a lot of upfront costs in getting started that year. There was also the cost of feed for the birds, and the purchase of additional plants after I had germination issues with some seeds. Even though this was only my third year on this property—and only my second year planting anything other then a few pots on my deck—I was bound and determined to break even, at the least! We spent a lot every year on fresh produce, and I wanted to be able to show how much I saved immediately. Even with all of that, by the end of August, which is where I ended my record keeping, I had fared well. Total savings on groceries was $771.50 that summer. 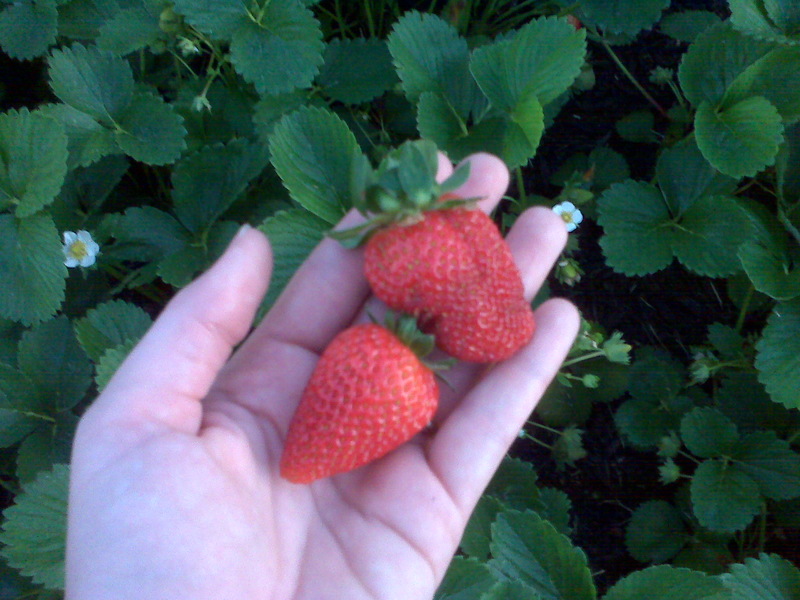 The strawberries did really well growing next to the chicken coop. They must enjoy of the rain run off from the chicken run. 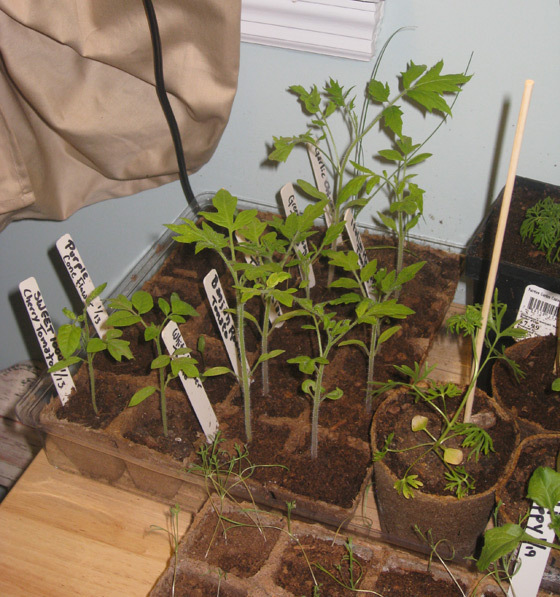 Even as impressive as all this was to me, I found this article: Grow $700 of Food in 100 Square Feet even more astonishing! I don’t know if I’ll ever be able to claim such a wonderful surplus of produce and eggs from our yard, but then again, I didn’t do very good record keeping, so who knows how I truly did? Since this little project a few years ago, I probably do even better now. I’ve learned how to save seeds, trade plants, and keep a large compost pile going. My hauls have gotten bigger, too, and I’ve also brought my costs down. I’m pleased with how my garden and my flock have grown over the years. Maybe this year I will try to keep track again and compare how much I saved then with how much I save now. Since this is the time of year to plan your garden for the new season, perhaps you, too, can get a journal or start a spread sheet to keep track of your harvests. I sure would love to know how much your garden and chickens produce for you—please share in the comments! We do need to remember that the amount saved is only equal to the value of the homegrown items if you would be normally purchasing that item in that amount at that price. For example, I get about 4 dozen free range eggs per week. Based on value alone, it looks like I save $80 per month (they go for $5 a dozen in my local grocery store). However, with my limited grocery budget, there’s no way I would spend that amount on eggs! I would get the cheaper, medium-sized, white eggs at the dollar store. So in reality, I’m saving $16 per month, which is what I would normally spend on eggs. But I also spend $30 per month on feed. So it looks like I end up $14 in the red after costs. The thing is, we LOVE our chickens, and feel like having better eggs than we could normally afford to buy as well as some sweet pets outweighs the financial picture. I like the idea of being self-sustaining to some extent. I love handing a carton of eggs to a friend or family as an act of love. And occasionally, when we have a surplus, I’m able to sell some eggs to supplement the feed budget or trade for produce. This is the way we live and our chickens bring us so much enjoyment (and compost!) that the joy of having them more than makes up for the cost of keeping them. I’m not the best at gardening, and I’m sure we don’t come out ahead in that area either. But being in the sunshine, with my hands in the dirt, makes me so happy and thankful for the amazing world God has given us, I don’t care about the cost of that either. It’s hard to put a dollar amount on joy, peace, and fun. It’s always nice to come out ahead. We’ll have to start keeping track and see where we come out at then end of the year. Thanks for sharing. Chickens are friends who save your money. i would love to do that. i have one side of the garden just for the chickens. iam not sure how much i saved. with all the work i have done. but its good. My parents had a large flock of mixed chickens that provided us with plenty of eggs and delicious meat, besides oodles of fertiliser for our organic garden. We never calculated how much they saved us, but we valued them highly. We are working to remove factory farm food from our diet. We don’t use all those harmful chemicals on our food. The quality of produce and eggs grown on our little farm is beyond compare. Not to mention that we get exercise and satisfaction from our efforts. I love canning our food and thinking of new things to make with what we produce. I love just looking at all we are able to produce. The sound of happy chickens if very cheering after a hard day. There is an intrinsic savings that shouldn’t be left out of your calculations. Although it has no numeric value it’s worth a great deal in the fact that you are providing food security for your family in uncertain times. You buy insurance to protect yourself and your loved ones and you should have the same attitude with regards to their food. Knowing that you can put at least something on the table no matter what befalls you is insurance that your kids will never go hungry. Have you Also computed the cost of Compost produced by your efforts? A lot of people with yards still have to buy compost and the price for two cubic feet of compost is substantial when you compare it to the fact that when you make compost at home the things put in it are often “trash saved items” or what i like to call “quasi free” something that you’d normally throw out but have found a use for. It was 20 bucks for a 2 cubic foot bag for quality mixed compost and 5 bucks a similar sized bag of composted steer manure at the local hardware store this year, If your price is like ours the two 8 cubic foot wheel barrels full of your own home made garden compost is about 80 bucks saved at the hardware store. Also have you considered planting inoculated white clover into your lawn? the plants are attractive and mow well and decrease your yard’s over all need for artificial nitrogen fertilizers.